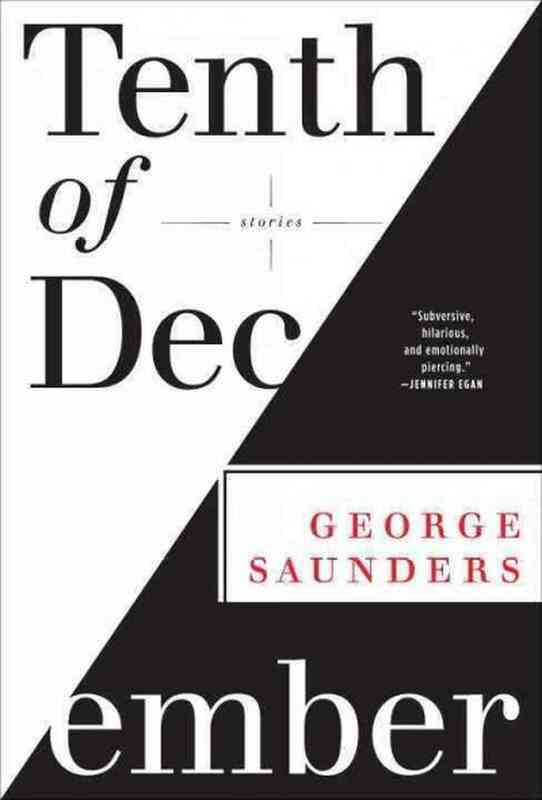 George Saunders’ story collection, “Tenth of December,” includes the story discussed here. George Saunders is not only an amazing writer. He’s a guru. People talk about him with the reverence of pilgrims returning from a visit with the man at the top of the mountain. His stories have the uncanny ability to make you laugh and cry at the same time—laughing at their absurdity (dead aunt’s reanimated corpse encourages her nephew to show his—ahem—at the Hooters-like restaurant where he waits tables) and crying because the stories reveal a humanity so fresh and true that our perception of the world is deepened. Reading a George Saunders story can be like putting on glasses for the first time. So let’s say this now: no writing exercise can make you as wise as George Saunders. You can, however, learn how he structures a story, introduces a character, constructs a scene, writes dialogue, or describes a dog. In other words, you can build a toolbox of George-Saunders wrenches and use those wrenches in your own work. If you are wise or smart or imaginative—or even if you’re not—you might write a pretty good story. Maybe an awesome one. Even if you don’t, you still get to appreciate and spend time with a great story. So, to kick off this blog, I want to begin with one of the best stories I’ve read in a long time: “Tenth of December” by George Saunders. It was originally published in The New Yorker, and you can find it here. Here are the two best pieces of writing advice I’ve ever received. “Tenth of December” exemplifies this advice. Here’s the story: Man tries to freeze himself to death, and boy tries to give him a coat; but boy falls through ice on pond, so man must save boy. It’s a story rocket-bound for chicken-soup sentimentality. The reason it doesn’t get there is because of the world Saunders creates. Even though most of the narration is about Robin’s fantasy world, we already know by the end of the first page (online version) that the weather is bitterly cold, that’s he’s going to a pond, and that he’s following someone’s tracks. The clarity of the story allows Saunders to play with the boy’s voice, to allow the reader to indulge with Robin in tangents about torture at the hands of fantasy beings—and it is these indulgences which make the story great. Write a simple plot summary (dog bites man; man shoots dog). Try to limit the summary to less than ten words. We’re aiming for clarity. Sometimes the hardest part of writing a story is writing the first line. If you can do these three things, you can begin a story. If you keep these three things in mind as you write, you can play with the prose and characters and have fun, which is the point. It’s why we write. So have fun. Happy writing. This is a beautiful story, I’m so glad to have found it. And the exercises are helping me figure out where I am going with a short story that I have started but couldn’t finish. I now realize I didn’t really know what it was about, and the exercises have helped me identify that, especially as I have just two characters in it. So, thanks! Thanks wee1one. I’m glad the exercise helped. Good luck with your story. One exercise to creating a summary is to choose a boy, girl, woman, or man; then, a verb; then a boy, girl, woman, or man. And then you write the story to figure out what that means in the context of these people. The verb signals the conflict that connects the characters. So what happened? And your story is the answer. For teachers, it’s also a fun exercise for quick freewrites in class. For writers, it’s a great way to remind oneself what the elemental conflict is. Looking forward to more posts like these. Great blog! The Saunders story is so satisfying, all heart and no schmaltz. I think I will get a story from the exercise. I have another story concerning a dying woman who has left her husband, but it doesn’t have this kind of heart. I’m looking at the Saunders piece to see how he developed the heart side. Also, how he pays such close attention to the necessity for justifying his characters behaviors. Though a lot of the back story comes in surprisingly late. it all comes together so impressively. I’m learning. Thank you Michael.